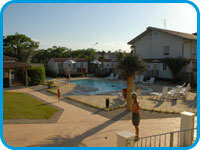 Camping Paola, located at the edge of Francavilla al Mare, a cheerful seaside resort, offers visitors its indoor services with a bar, pizzeria and games. 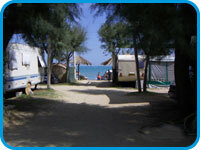 Shaded, quiet camping directly on the sea and an open beach. 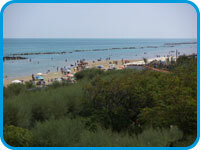 Ideal vacations for visitors who love the sun, sea and iodine-rich air, and for young people who love diverse kinds of recreation, as it is served by an urban transit network that in just minutes takes you to the cities of Pescara and Chieti and all their attractions, including museums, cultural events, fashionable clubs and marvelous seaside promenades lined with beach resorts open to all every evening, offering parties and entertainment. 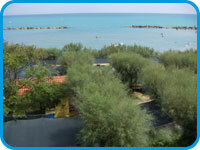 Abruzzo Airport: Take bus 38 to the main train station. Transfer and take bus 1 or 21 to the end of the line in front of our campground. Train: Pescara central train station. Take bus 1 or 21. 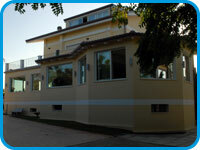 Conveniently located near Pescara and Chieti, this pleasant seaside resort lies on the Adriatic between the mouths of the Alento and Foro rivers. The proximity to the two capitals makes it possible to easily reach the monuments and events of both, while the highway from the Alento valley provides quick access to some of the most beautiful places in the Parco Nazionale della Majella. Of high medieval origins, Francavilla was almost completely destroyed in 1943-44. Still, go see the modern parish church of S. Maria Maggiore. 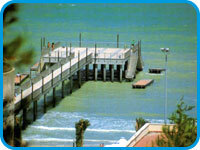 The town has a train station, and the A14 highway exit is Pescara Sud - Francavilla.